We are providing to you a well developed, fully furnished and include all facilitated farmhouses situated in Faridabad. It’s a perfect place for all those people who love to live with nature and yet remain connected with the madly running world. Faridabad is one of the most promising cities of national capital region of India. It is merely 0.5 kms from Delhi Badarpur Boarder and 19 kms from happening south Delhi, 10 kms from Taj corridor (highway towards Agra) and 14 kms from main land of Faridabad city. 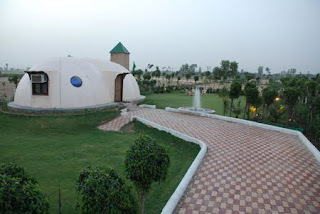 Please have a look on give Farm House Image..
Faridabad is one of the most promising areas of national capital region. Centrally located on the route to famous Taj-Mahal Faridabad is witnessing a tremendous growth in terms of real estate development. With the advent of metro rail and badarpur flyover, Faridabad has shown a remarkable hike in prices. We being a part of Faridabad and having a further advantage of eying surrounded with major projects of top builders and group etc is bound to yield a high return on investment. The presence of famous educational institutions in close vicinity of we makes it a hot spot for all the all type people associated with them.  Study / Computer Table.  High Speed WI-Fi Broadband Internet (24Hours X 7, Unlimited Download).  RO-UV Water (Mineral & Cold Water).  Power Backup 24 X 7.  24 X 7 Attendants available.  Rooms & Washroom cleaning facility.  Doctor available in case of emergency.  Rent (Including electricity bill, water bill, cable bill and above given facilities). For More Information call us Mohan Sharma (09873977343). This is great news to all PG Finders, newly constructed PG Accommodation for Boys available at near Sector 22, 23, 24, 28, 29, Faridabad. Located in a very posh advance colony and well connected with the whole city.  Free medical Treatment in Multi Speacalility Hospital. 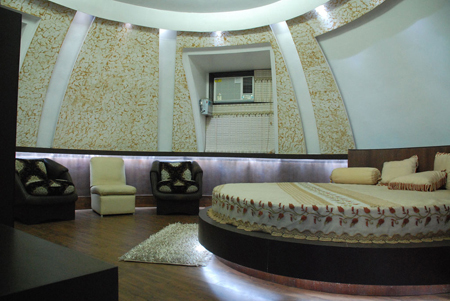 We provide room for rent in Faridabad very affordable price. You can get all type off rooms here. This is a good place for you to find one, two and much more room at a place. Mohan Paying Guest house it's fully air conditioned/non conditioned room. Provided with a latest facility/balcony which gives you a soothing natural view. It’s designed with great artistic taste and a full time man power services present at your doors, so no worries about security. It is well connected with all major junctions in, Faridabad suitable for boys. We also provides pg on sharing/single basis, fully furnished, with food/without food , ac, 2 wheeler/car parking, 24 hours water, 24 hours power backup, TV, bath rooms, other facilities available on request.